This two-story office building at the corner of Gates Place and Nevada City Hoghway could soon make way for a new auto parts store. 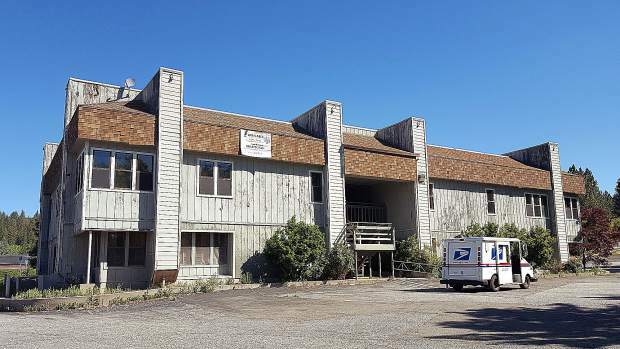 The shabby circa-1970s office building at the corner of Nevada City Highway and Gates Place has paint peeling from its facade and only a few cars in the parking lot. Less than a handful of tenants remain in the two-story structure at 2059 Nevada City Highway, which could soon be demolished. O’Reilly Auto Parts, which currently has a store on Olympia Park Road, is looking to move onto the property. Last month, a representative from the national chain submitted a conceptual application to the Grass Valley Development Review Committee to obtain input before submitting a formal application, possibly within the next few months. A spokesman from O’Reilly confirmed the corporation is looking at relocating its Grass Valley store but said there was no specific timeline for moving to the location, which would be leased. The proposed project is a redevelopment of the property, which was sold to investors in 2017. The project would tear down the existing building, create a new parking lot and construct a new retail space for the auto parts chain. The plans include new pedestrian access to Nevada City Highway, new landscaping around the entire perimeter of the site and the removal of the existing driveway to Nevada City Highway and relocating it onto Gates Place. Access would be retained to the parking lot of the adjacent Dollar General, however. According to the staff report by Community Development Director Tom Last, the project could be exempt from environmental review because the site is already fully developed and this is simply a redevelopment project. The new use is expected to generate less afternoon peak hour traffic than the existing office spaces, Last noted.